With so many dentists offering cosmetic dentistry these days, it can be hard to find the one that works best for you. How do you know that your paying for the most up-to-date and effective procedure out there? 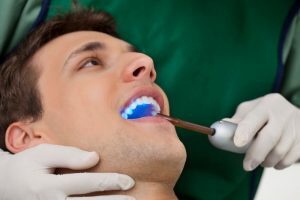 How do you know if your dentist in Alamo Heights is providing the best cosmetic dental care possible? With AACD membership, it confirms your dentist is at the forefront when it comes to using the newest and most innovative dental technology and practices out there. Learn how your cosmetic dentist in Alamo Heights is going the extra mile for your smile today! The AACD stands for the American Academy of Cosmetic Dentists and is considered the largest international dental organization in the world. 6,000 members span across 80 countries and all of them believe in providing the highest quality cosmetic dentistry possible to their patients. Members include a wide variety of dental professionals, including cosmetic and reconstructive dentists, hygienists, and dental assistants. It even includes educators, students, researchers, and dental lab technicians. AACD members have taken the extra effort to further their education on the latest advancements in cosmetic dental techniques, materials, and technology. To become an accredited member, dental professionals must go through a rigorous process. What is the Process for Becoming an Accredited Member? Becoming an accredited member allows dentist to take the techniques they’ve learn and perform them on patients. To become an accredited AACD member, professionals must complete a clinical testing process. They must complete a written examination, document five specific types of clinical cases, participate in continuing education classes, and pass an oral examination. To keep that accreditation, they have to remain in touch with industry trends and technology in cosmetic dentistry. Maintaining the status of AACD accredited requires a significant amount of commitment and perseverance on the dentist’s part. Furthermore, they do it to prove to their patients the extra work they’re willing to perform and bring the best quality care possible. Why Should I Choose an AACD Member as My Dentist? Once a member, dentists are offered many education and training programs they can treat patients with. This is done through AACD publications, lectures, and workshops showcasing the latest procedures, techniques, and products surrounding cosmetic dentistry. With this membership, your dentist is one step of ahead of their peers when it comes to trends in the market and learning how the newest products and technologies can be brought to your local practice. You’ll receive the most up-to-date care possible from your Alamo Heights dentist, who has chosen to stay at the forefront of the cosmetic dentistry field. To learn more about the newest cosmetic dental techniques, schedule an appointment with your dentist in Alamo Heights today for a smile makeover! Christopher J. Holland, DDS, studied at the University of Texas Health Science Center in San Antonio to earn his Doctor of Dental Surgery degree. He completed his General Practice Residency on Scott Air Force Base in Illinois before starting his practice New Image Dentistry. He is a member of several dental associations, including the ADA, the Academy of General Dentistry, and the American Academy of Cosmetic Dentistry. To learn more about his practice, contact him at (210) 804-1558 or visit his website.